This month was centered around Ella because it was her birthday month. 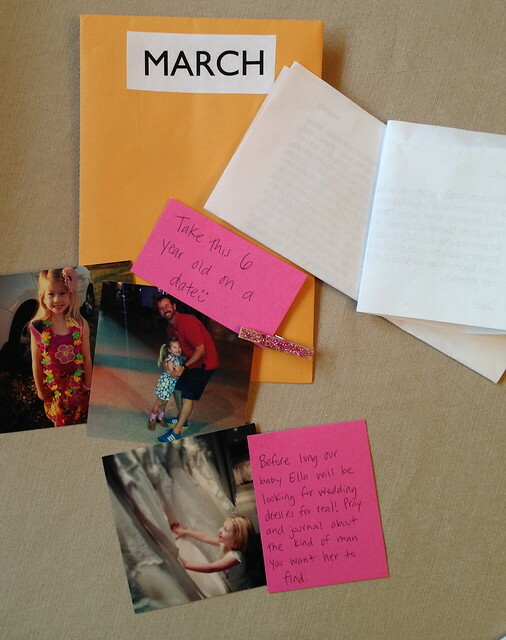 The notes for this month are from Kristen and Jeff. Bob loves reading all the sweet things people wrote to him and he is always so surprised to see who's notes are in each envelope. 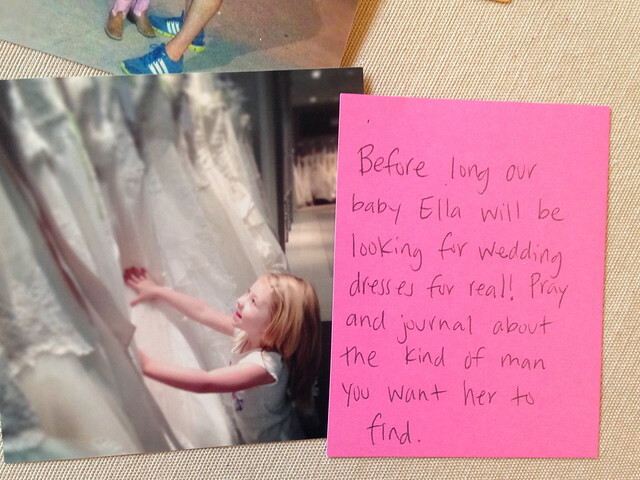 Like the trend of the last two envelopes, there used to be 37 dollars attached to the pic of him and Ella, but I borrowed it and never got to put it back. (oops, I did it again) Luckily he was still able to take Ella on a date to see the Lego Movie. They both loved it and keep singing the "Everything is Awesome" song. Kenna and I will get in the loop once it comes out on dvd.